I hope you all had a good weekend, I'm sorry I haven't been posting much this week I've been super busy with work and everything! But I did find time to go shopping (I know, naughty!) and pick up a few bits and pieces that I've had my eye on for a while now and I couldn't wait to get home and play with it all so I could get on and tell you all about it! 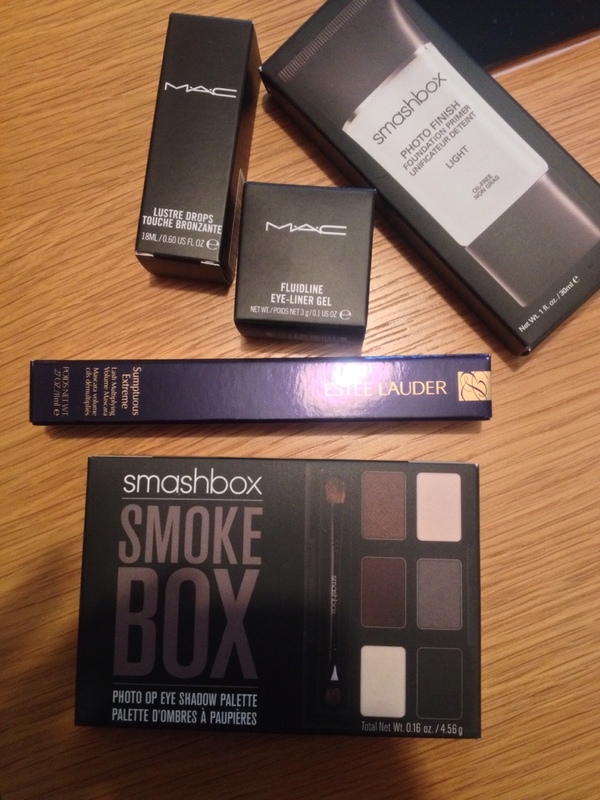 So here's what I got..
*The MAC Fluidline wasn't for me but I just thought I'd include in the picture, and I also bought MAC lipstick in Rebel and forgot to put it in there! 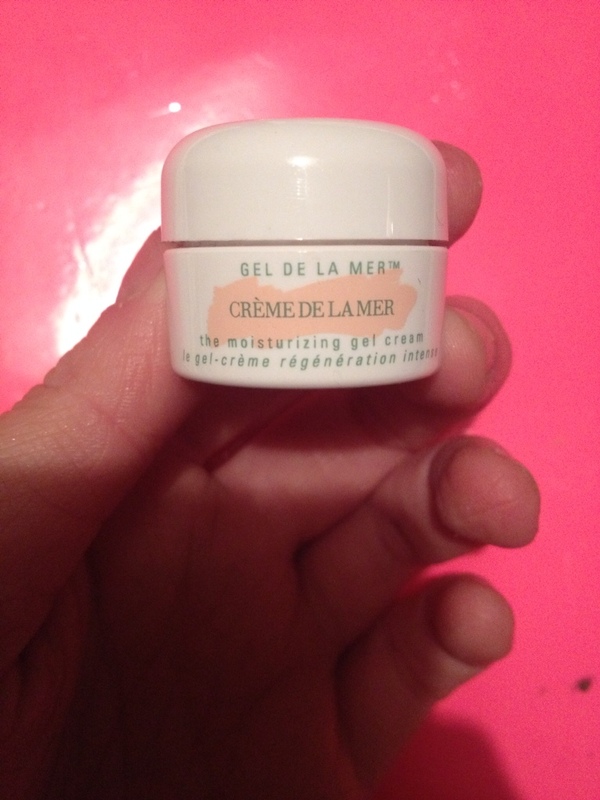 I also came home with a little sample pot of the Creme de la Mer Moisturising Gel Cream that I can't wait to try! 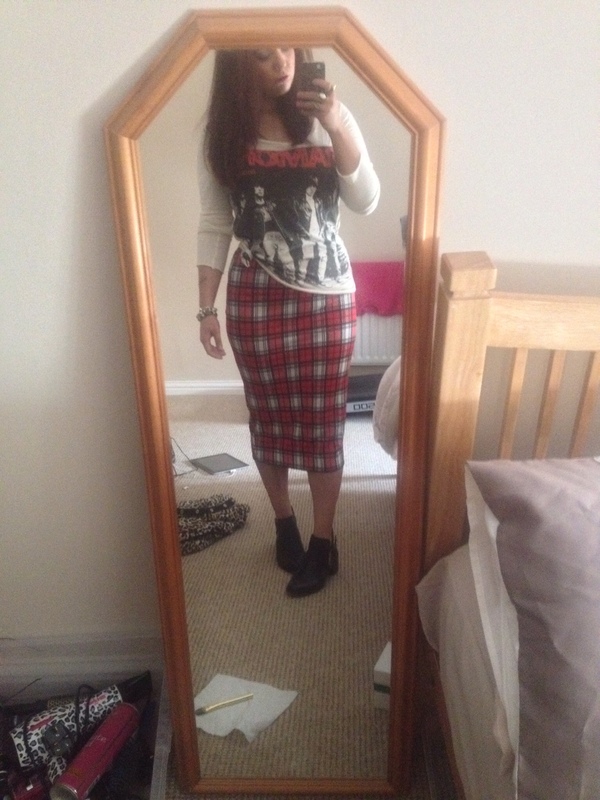 Today’s Look & Outfit of the Day! Does anyone else subscribe to the newsletters from clothing websites and then when they constantly email you with offers of 50% off and free delivery?! For a shopaholic like me, this is dangerous territory, when I see that, I literally can’t help myself, I HAVE TO BUY STUFF! Ahhh! This is exactly what happened to me on Friday when I received an email from Boohoo.com, telling me that there was free delivery and a half price sale. Well, credit card disaster. 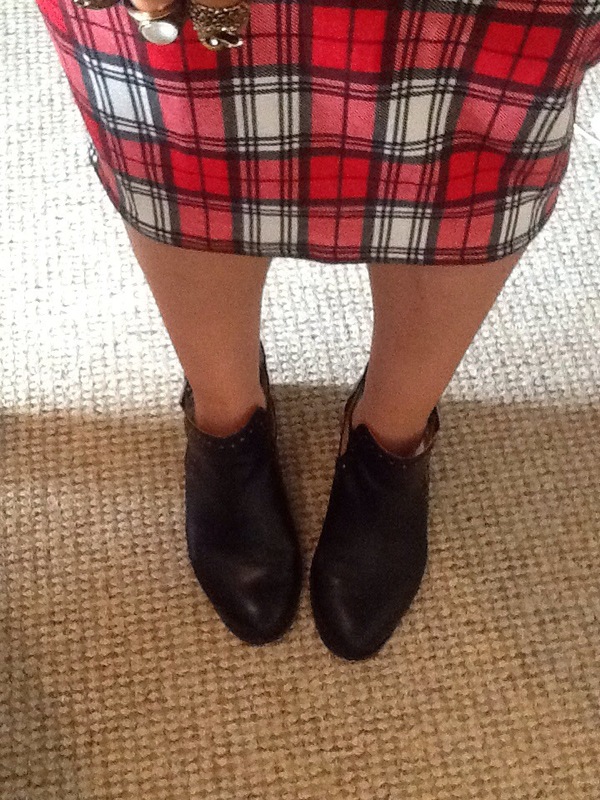 On the upside, my order arrived yesterday and I bought this gorgeous skirt which I couldn’t not show you since this season is all about the punk spirit! 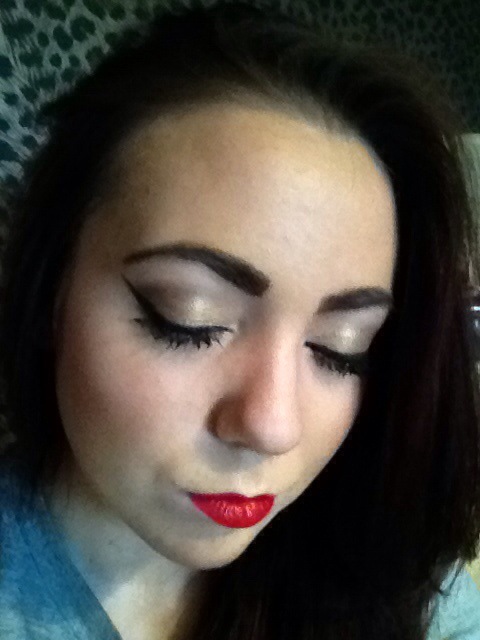 Since I was feeling all punky today, obviously I had to match my make up so here it is! 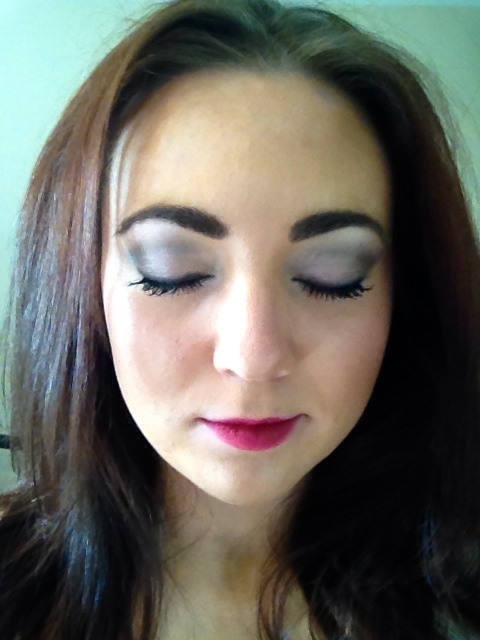 And here’s how I did it..
As you all know, I love a bold lip whether I’m heading off for a night out or doing my weekly shop at Tesco. 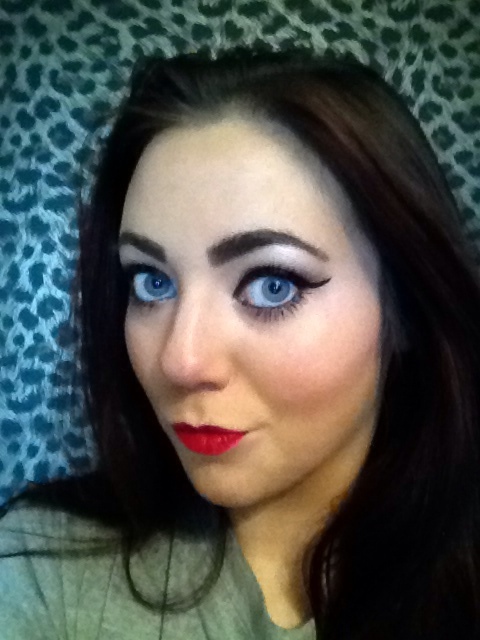 Everything about an eye-catching lipstick makes you feel better and a bright colour always brightens up the day. 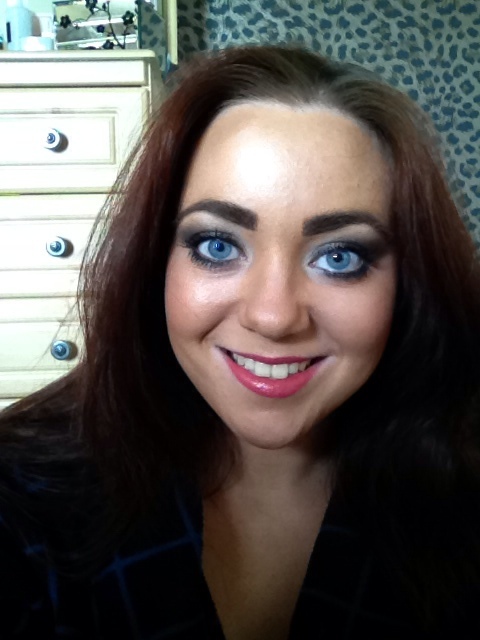 -Benefit World’s Sexiest Nudes Palette (Holy Smokes cream shadow all over lid with Blingo! patted on top for a metallic effect). 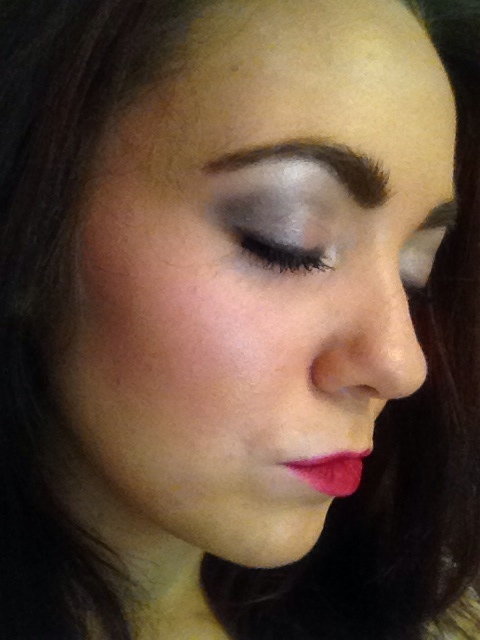 -Sleek Storm Palette (Matte Black blended into crease). 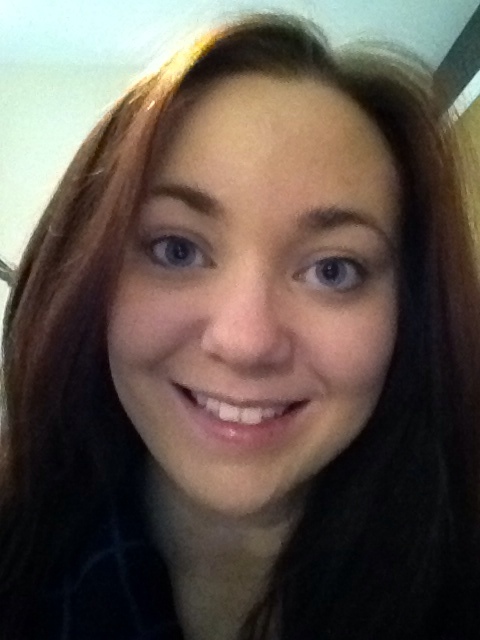 I know payday has only just come and gone, but I’m so bad, I’m already thinking up my beauty wishlist for next payday! Here’s what I can’t stop thinking about so far! I’ve seen so many YouTube videos and beauty bloggers raving about this recently that I just have to get it and see if it’s really worth all the fuss! I’ve tried a couple of products before from this gorgeous French skincare brand which I’ve loved but I really want to get my hands on this skin-plumping, hydrating moisturiser that also doubles up as a primer! 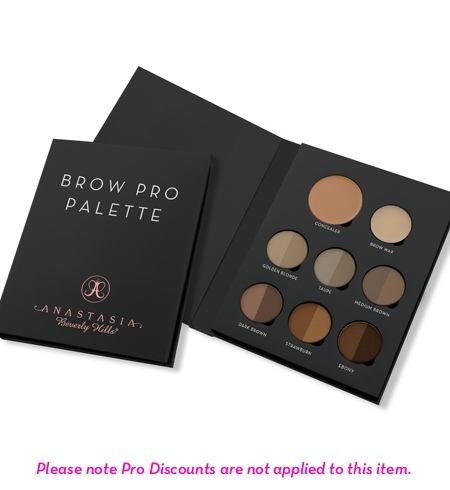 As a working Make-Up Artist, this looks like a must have in my kit! 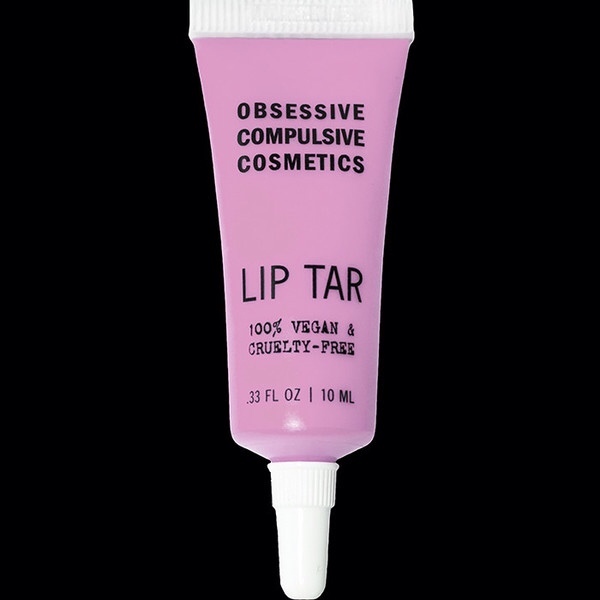 My most wanted shade is Digitalis, a pale pinky-lavender and 100% vegan and cruelty free, what’s not to love?! 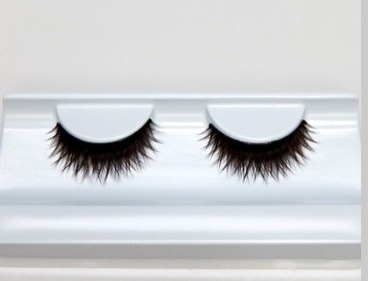 The perfect lashes for that doe-eyed, flirty look, just gorgeous! So first off, you know I always start with my skincare. 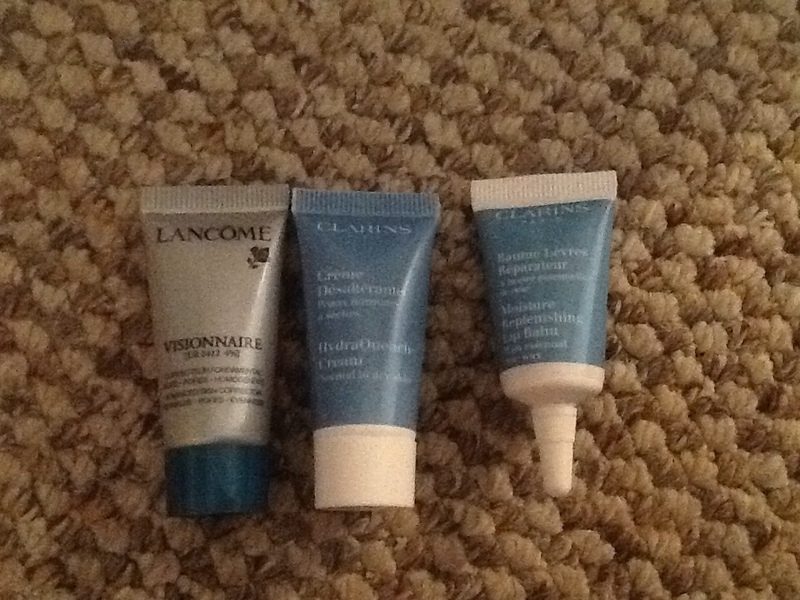 So to start with, I applied my Lancôme Visionnaire serum, Clarins HydraQuench cream because I think coming into the winter time, my skin gets a bit drier so I need that extra little bit of hydration, and finally Clarins Moisture Replenishing Lip Balm purely because it gives the perfect base for lipstick, especially if your wearing a colour. It’s also super moisturising, which is great if you wear a lot of matte lipsticks, like me, and your lips tend to be drier. So now it’s onto the base. I started with the Porefessional primer from Benefit (great if you have oily/combination skin like me, and open pores as well! ), just applied with my fingers on the t-zone. 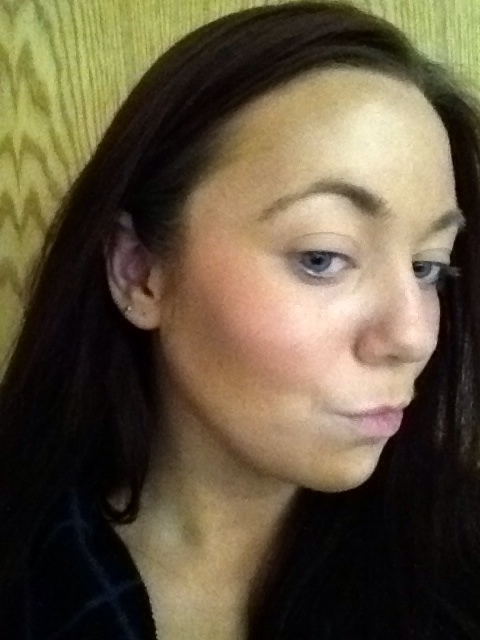 I then buffed Doublewear Light foundation from Estée Lauder in 03 into my skin using the Stippling Brush from E.L.F. 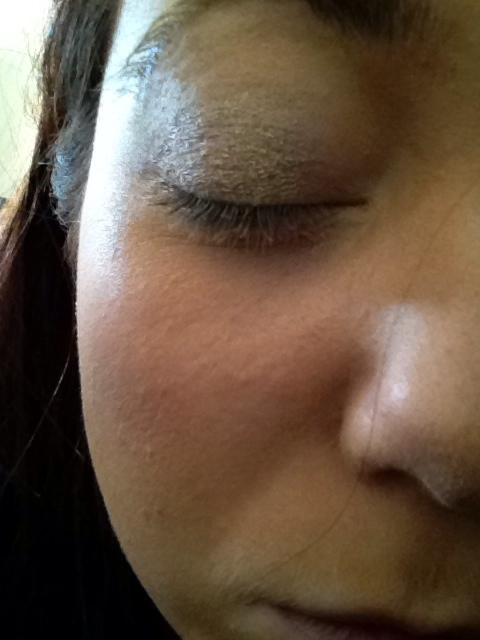 I also applied the Benefit Bo-ing Concealor (02) using my ring finger onto any little blemishes before dusting Creme de la Mer translucent Loose Powder over my whole face. 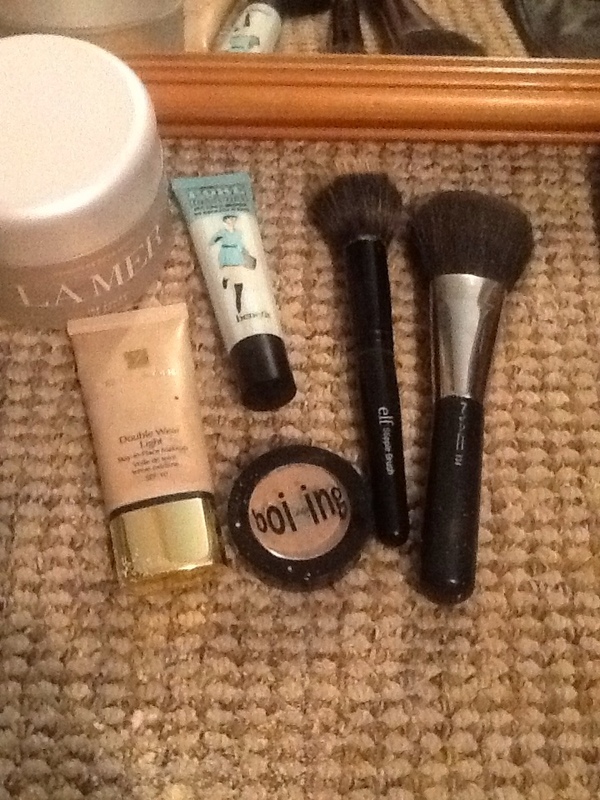 Next, onto the Contouring & Highlighting. This is the part people seem to have most difficulty with so ill do a separate tutorial on that later 🙂 I started by dusting MUA Bronzed Perfection Bronzer onto the higher planes of the face (forehead, cheekbones, nose and chin). 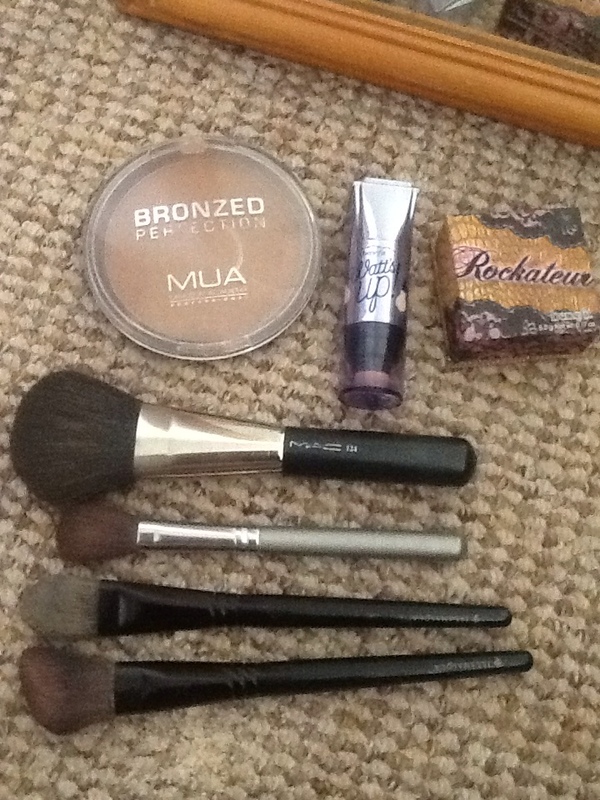 Then, apply the bronzer, lightly, (your not trying to look like you need to wash your face!) along the hairline, down each side of the bridge of the nose and underneath the cheekbones and sweep out wards to the hair line. Then, with highlighter, I used Watts Up! 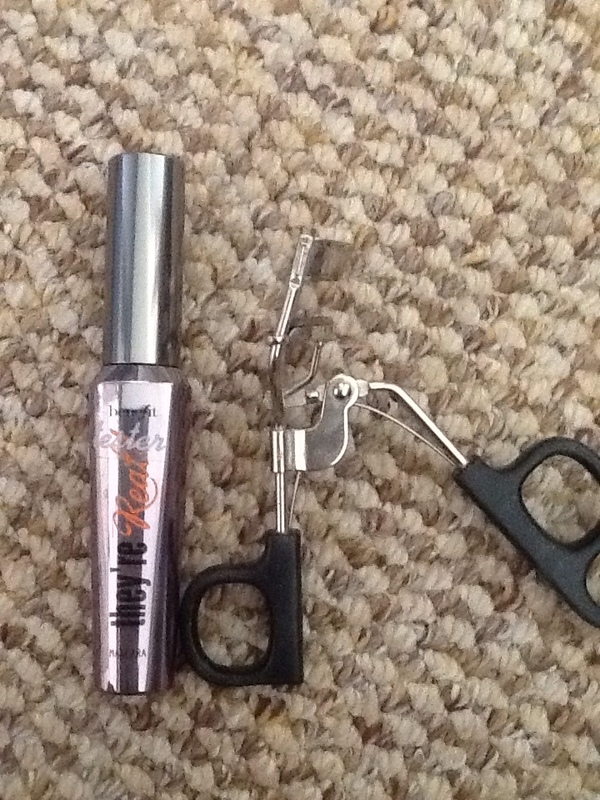 from Benefit, apply to the centre of the forehead, brow bones, cheek bones, down the centre of the nose, Cupid’s bow and chin and buff in using a foundation brush. Then, with your blusher, apply lightly to the apples of the cheeks and sweep out towards the hairline. 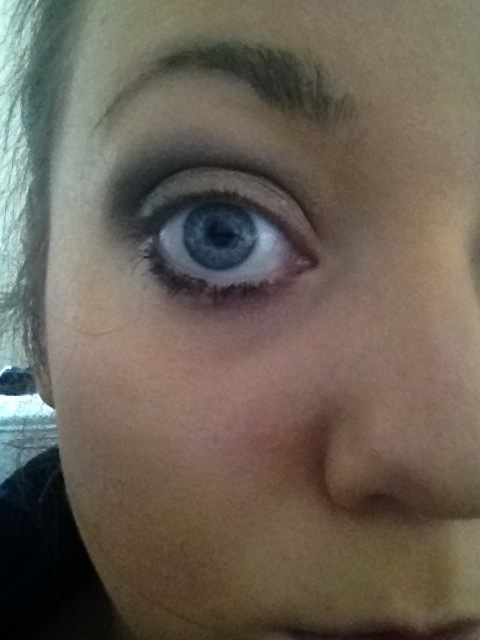 Then it’s onto the exciting part, eyes! 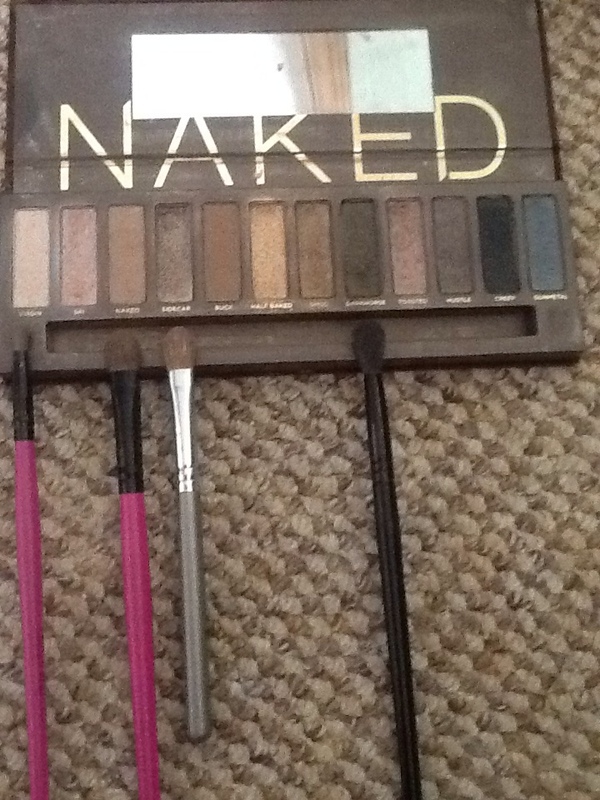 🙂 I used the Urban Decay Naked Pallete to cereal an everyday smokey eye look. 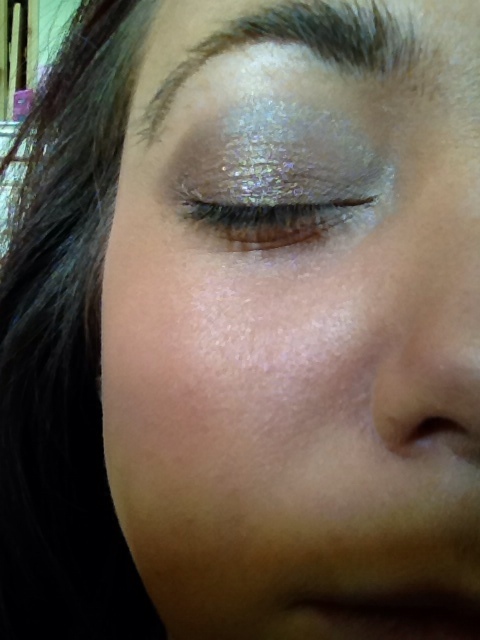 I started by using Sidecar from the centre of the lid outwards, and then applying Naked to the crease. 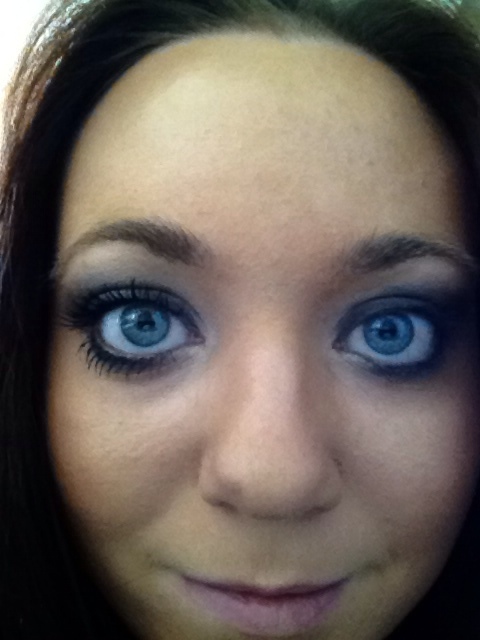 I them applied Virgin as my highlight, to the inner corner of the eye. 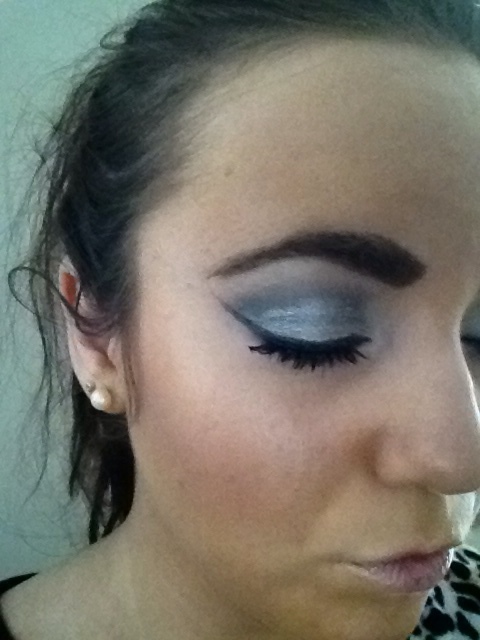 Finally, I used Darkhorse (this is my most used colour in the palette, I blend it with everything! 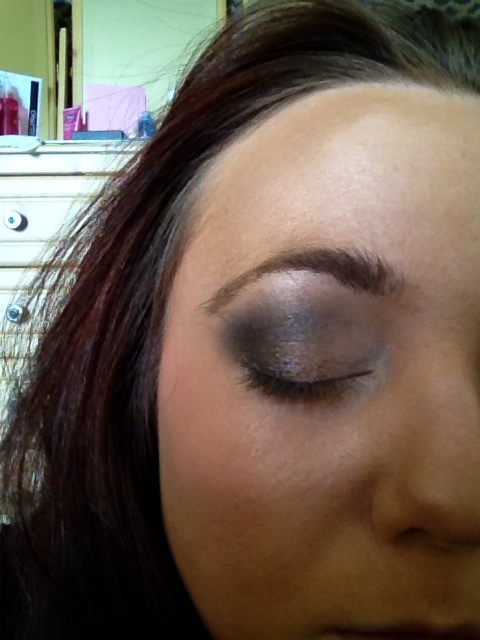 ), on the outer crease and lid to add some definition. 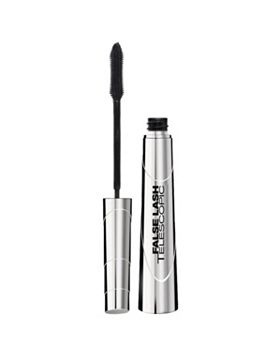 Then, I simply added black kohl liner to the top and bottom lash lines and smudged slightly with my fingers, before adding They’re Real mascara from Benefit. 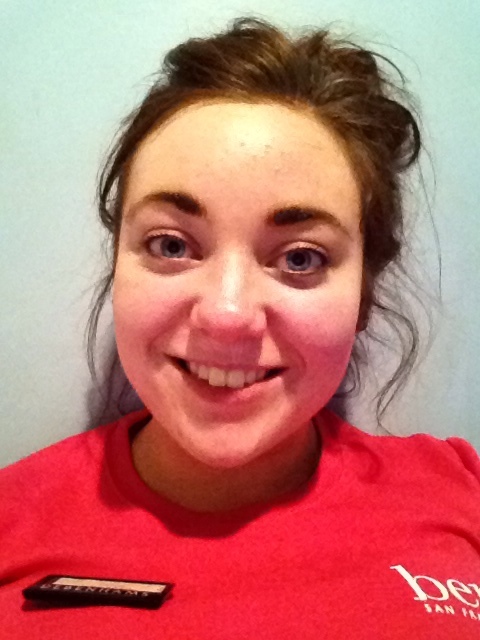 You can see the before and after here too, which I think is pretty amazing, my eyes go from having no lashes at all to almost looking like falsies (in a good way!). 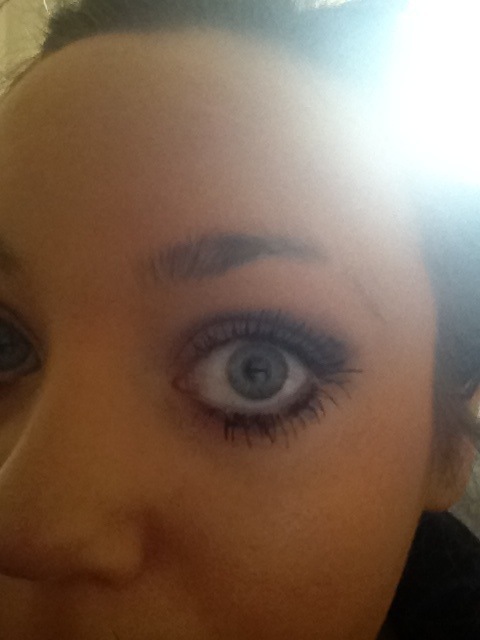 Next, it was onto the brows! 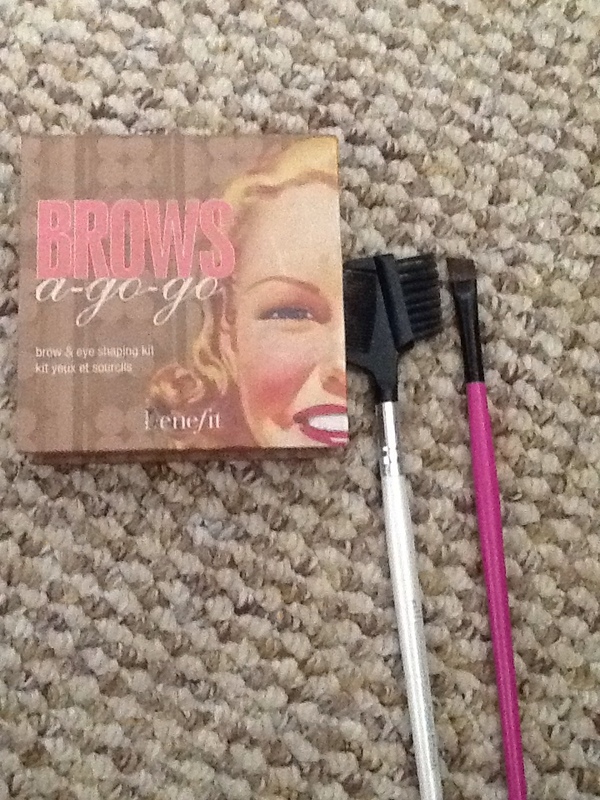 You all know i love a strong brow and if you haven’t seen my post on how to do the perfect brows, you can find it here..https://loveandlipstickforever.wordpress.com/2013/08/20/how-to-get-the-perfect-brows/, but this is what I used today. 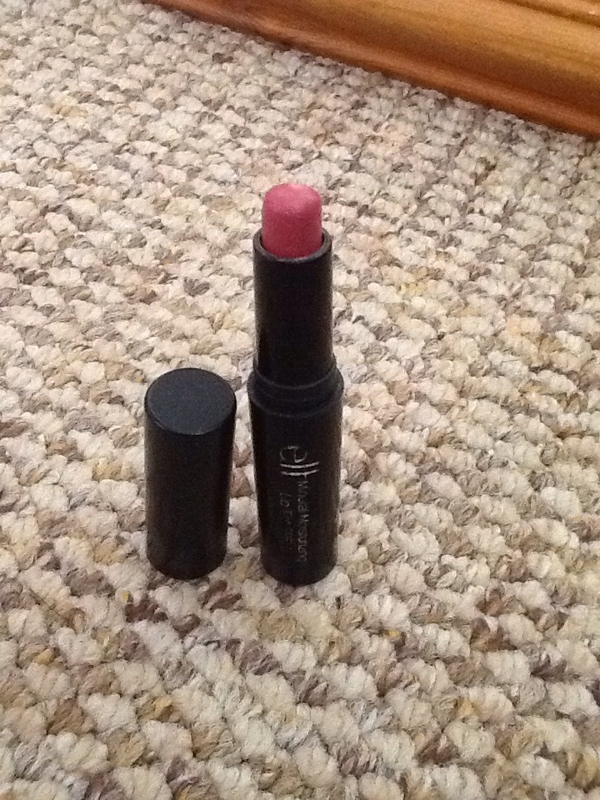 Lastly, I added E.L.F’s Moisturising Tinted Lip Balm in Berry and we’re good to go! This is what you should end up with! So, I’m not sure why, I absolutely love Clarins skincare, but for some reason their make up just doesn’t really appeal to me, anytime I go out for a little (ha!) shopping spree I always forget about them. 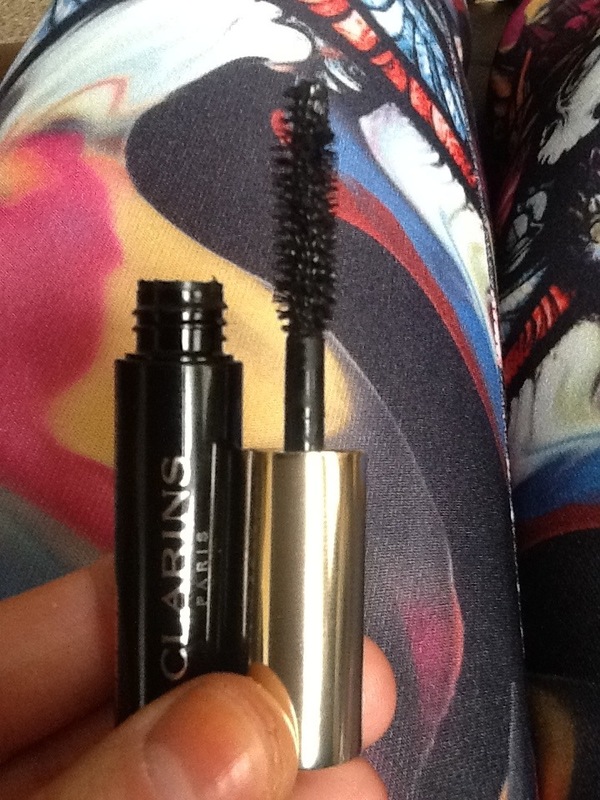 A friend of mine works for Clarins and gave me a little tube of their Wonderlash mascara to try out so here are my thoughts on it! How cute is this little tube!